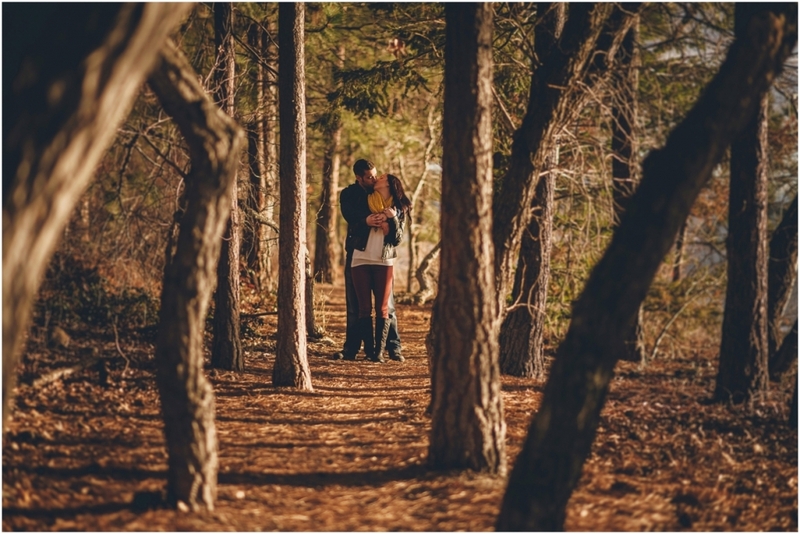 This early spring season could not have started off any better! 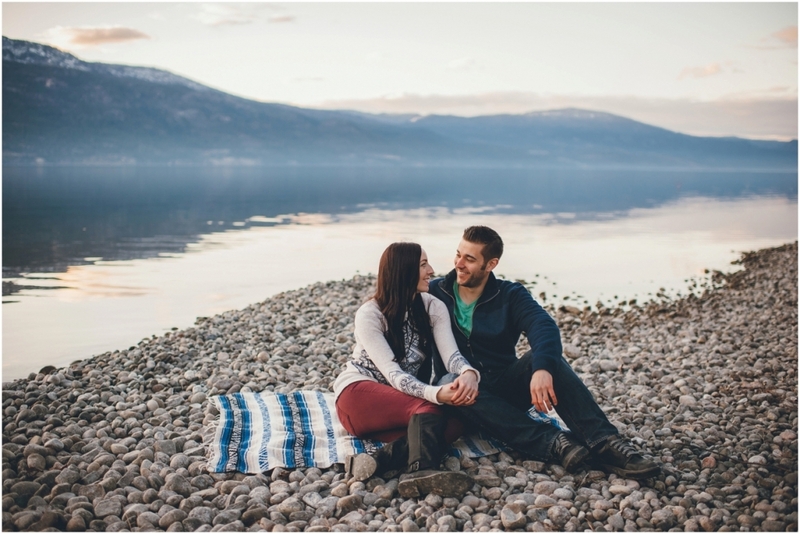 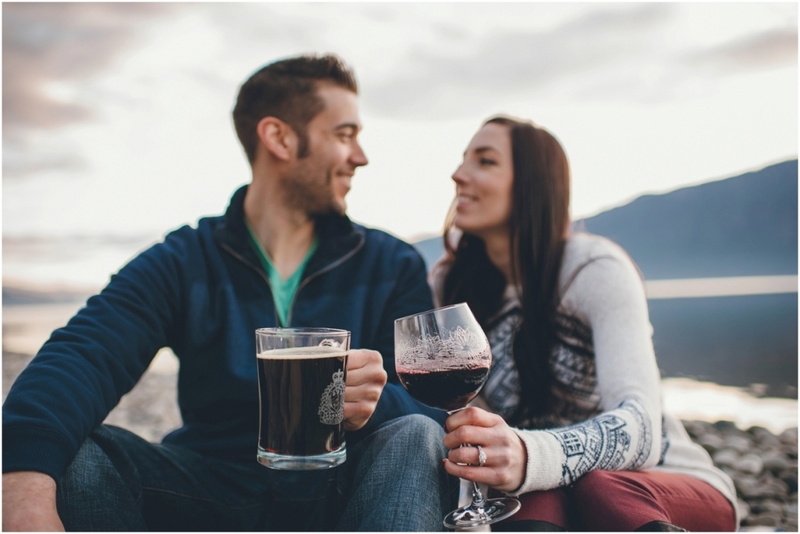 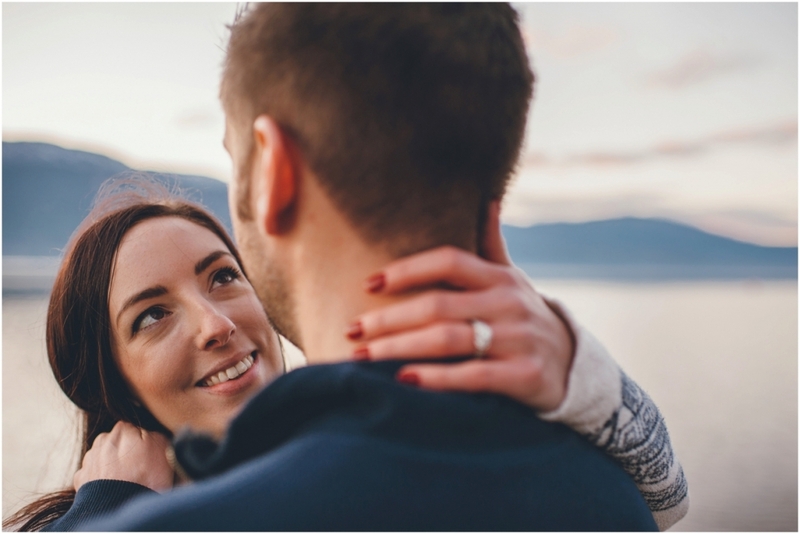 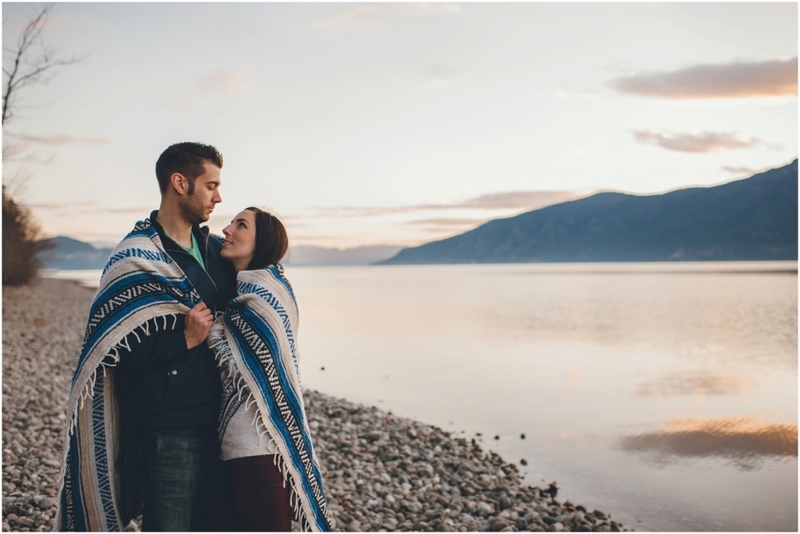 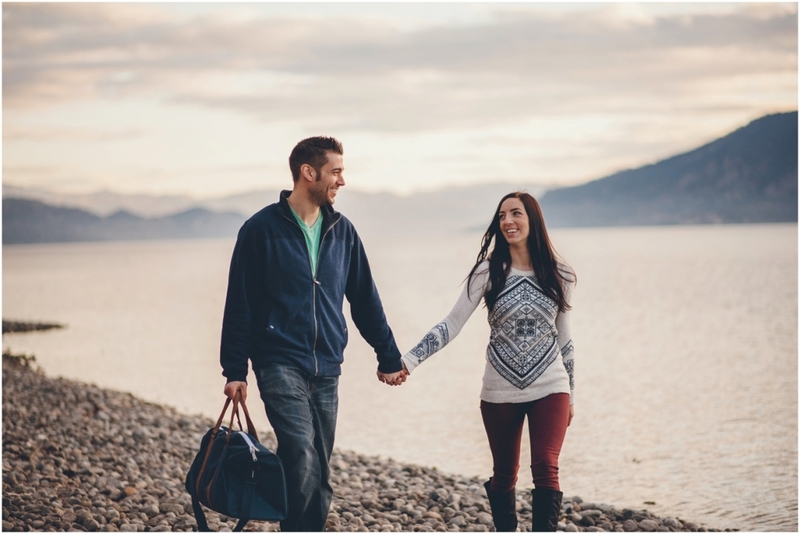 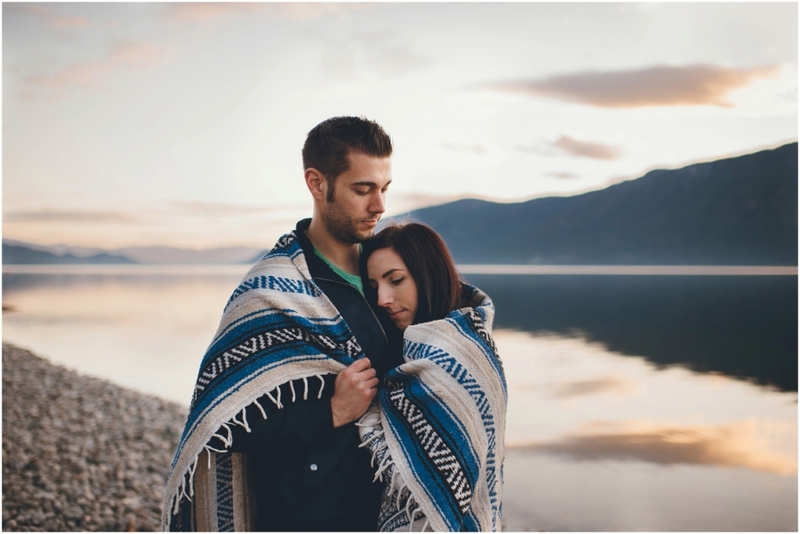 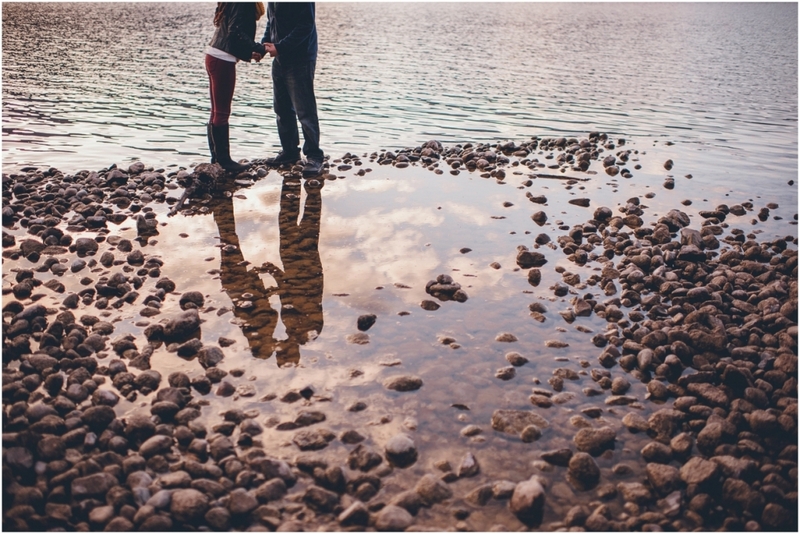 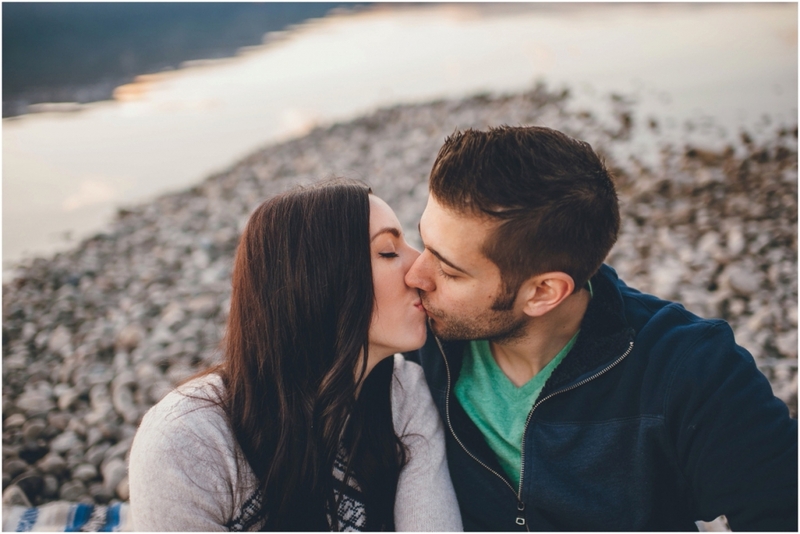 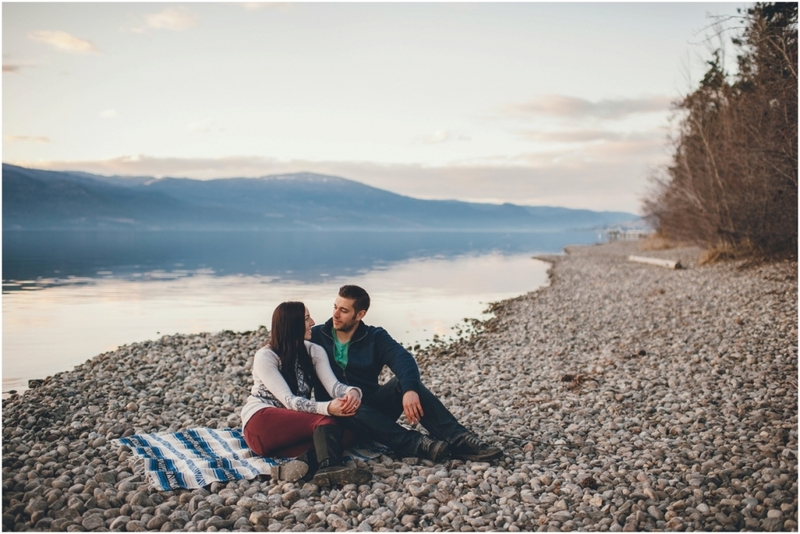 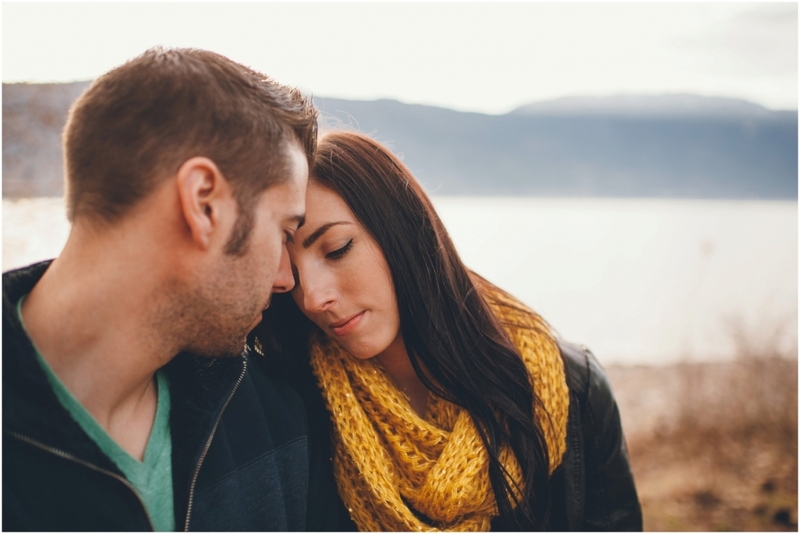 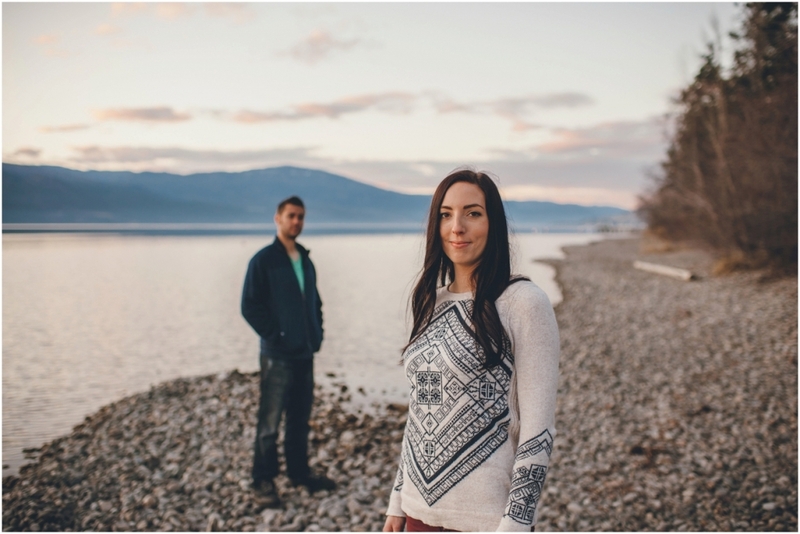 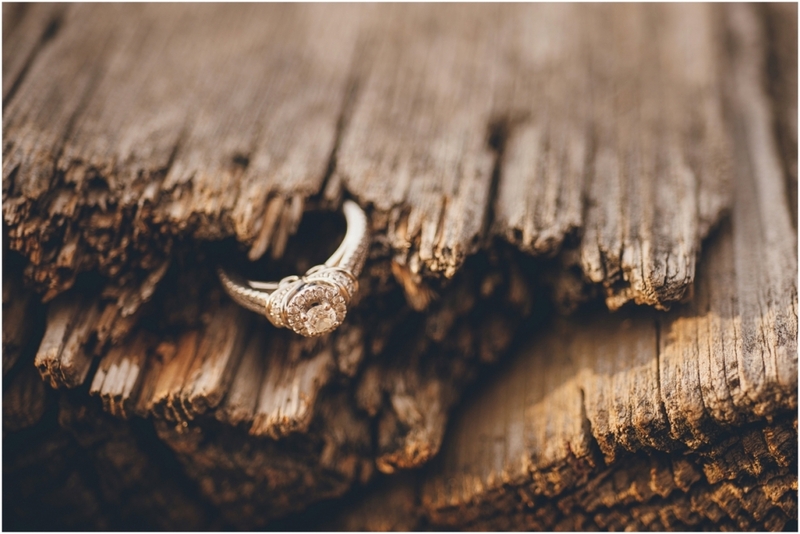 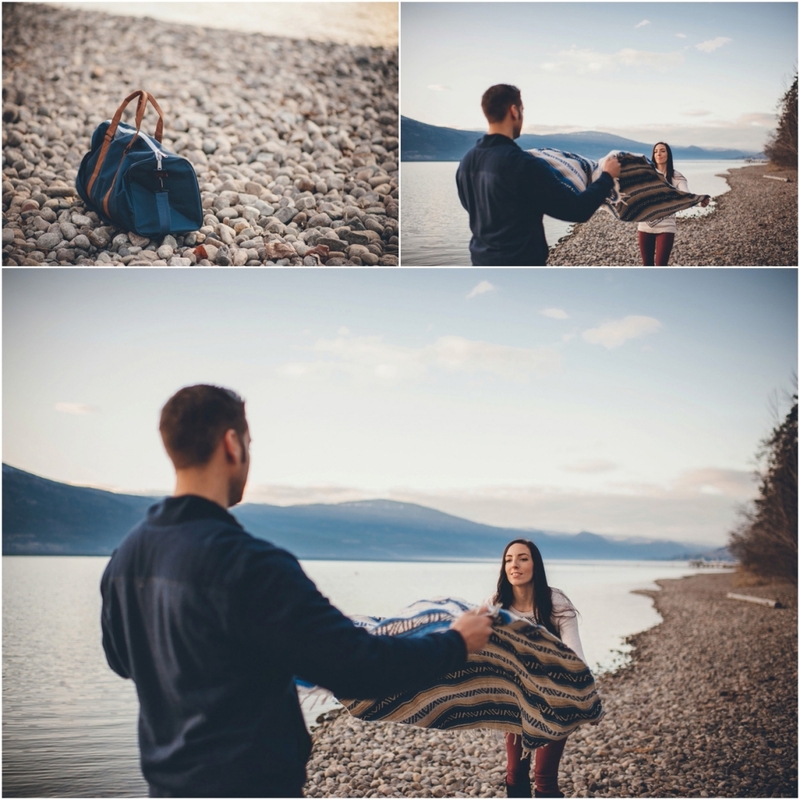 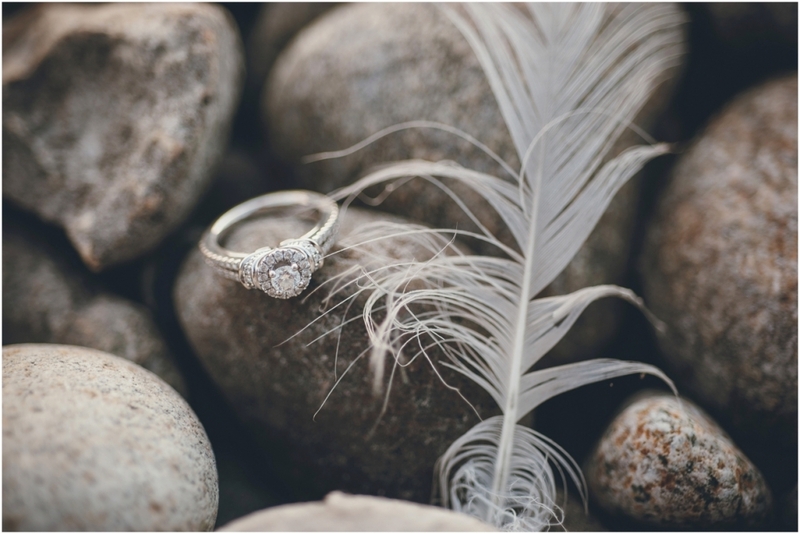 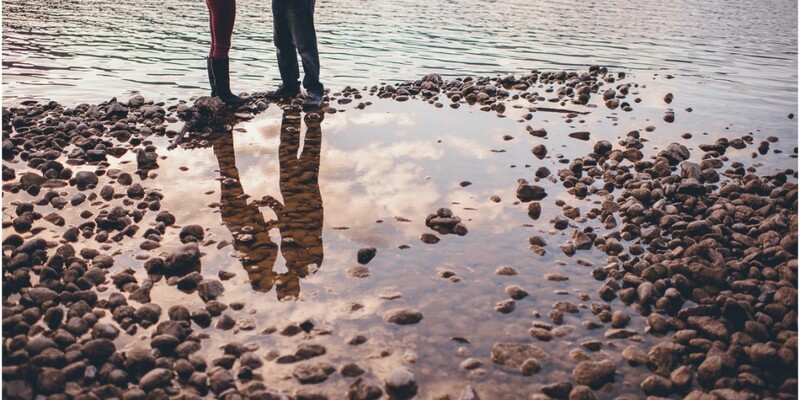 Spending it photographing this lovely Okanagan lake engagement made it simply awesome! 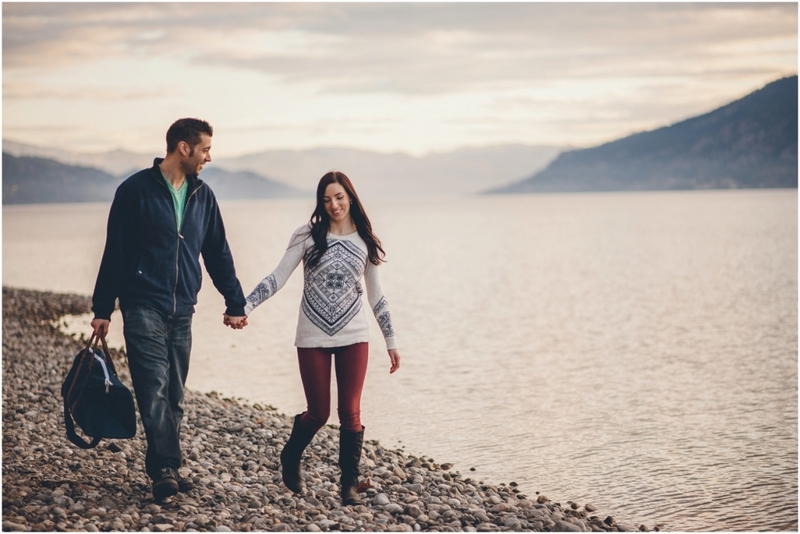 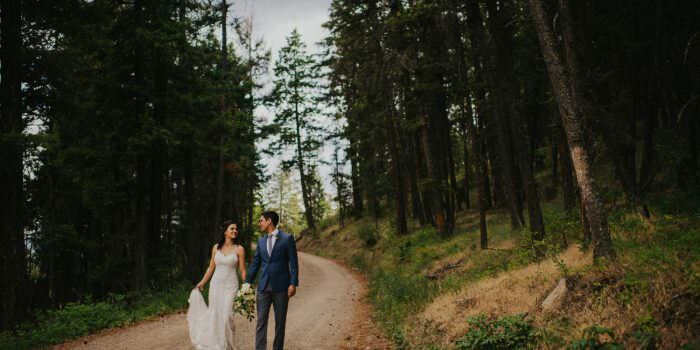 The afternoon started off with Tara & Greg exploring down trails in Lake Country hand in hand. 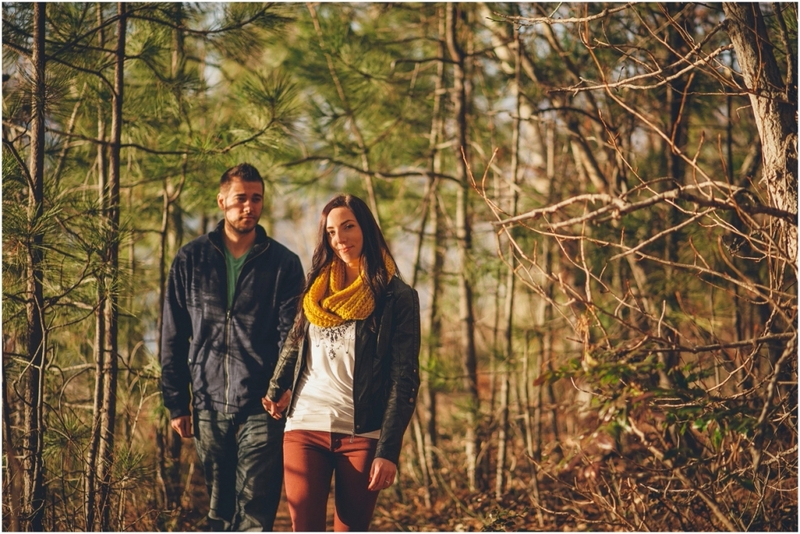 We came across a very cool nook full of winding trees and also a huge log picnic table. 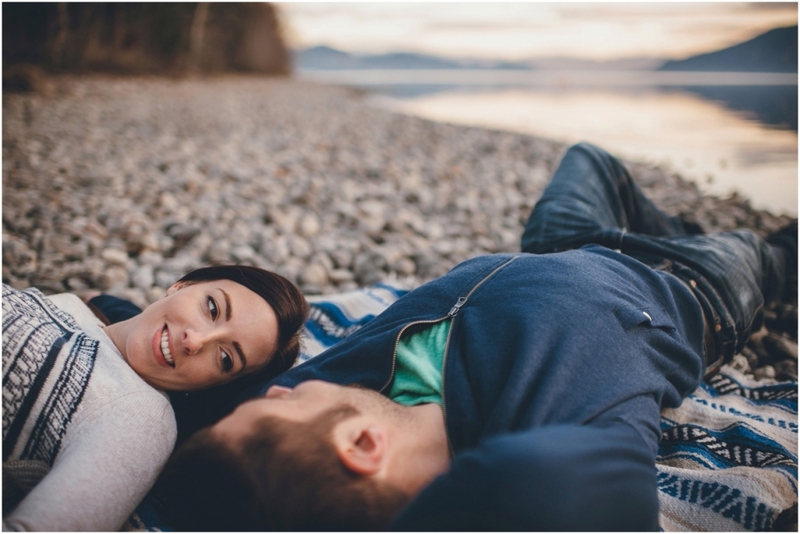 We then headed down and walked along the pebble beach until they had found the perfect spot to lay out a blanket and lay back. 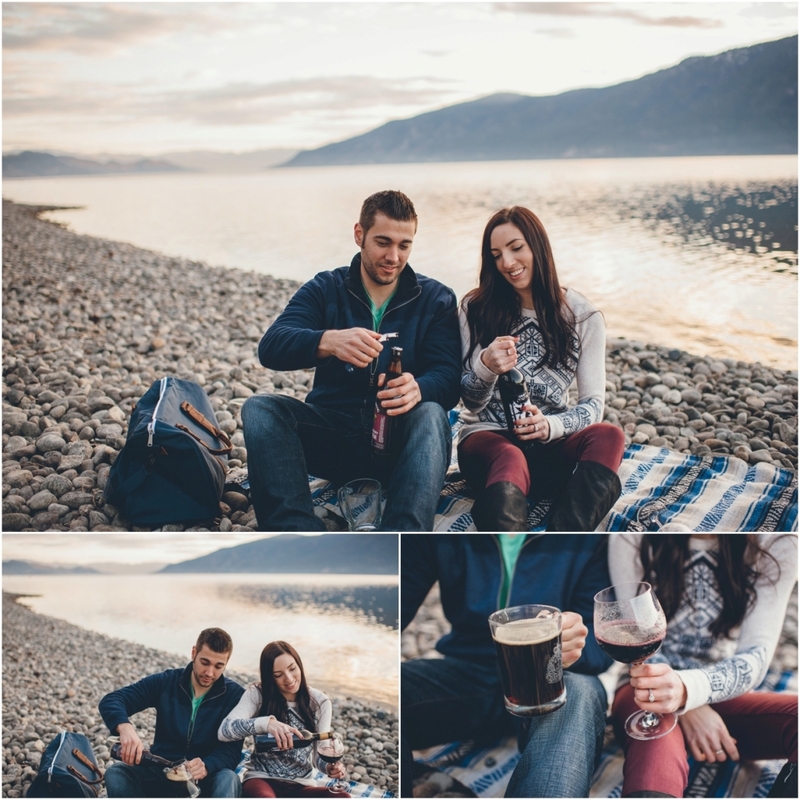 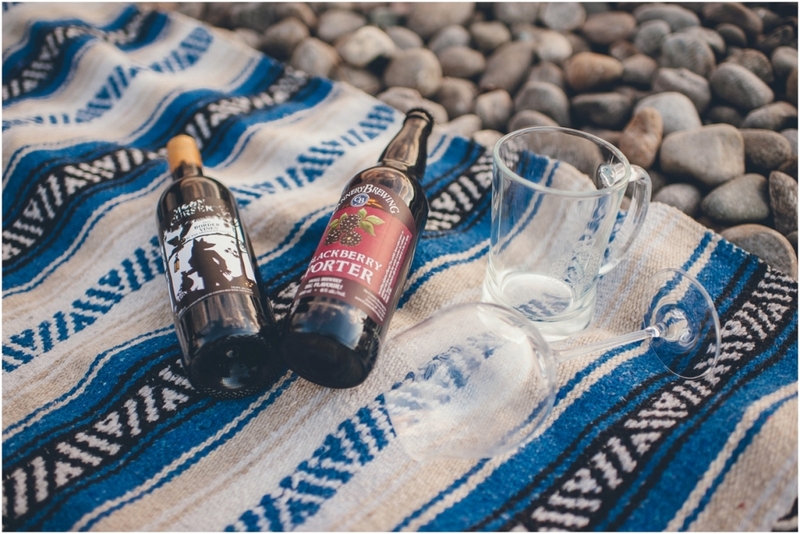 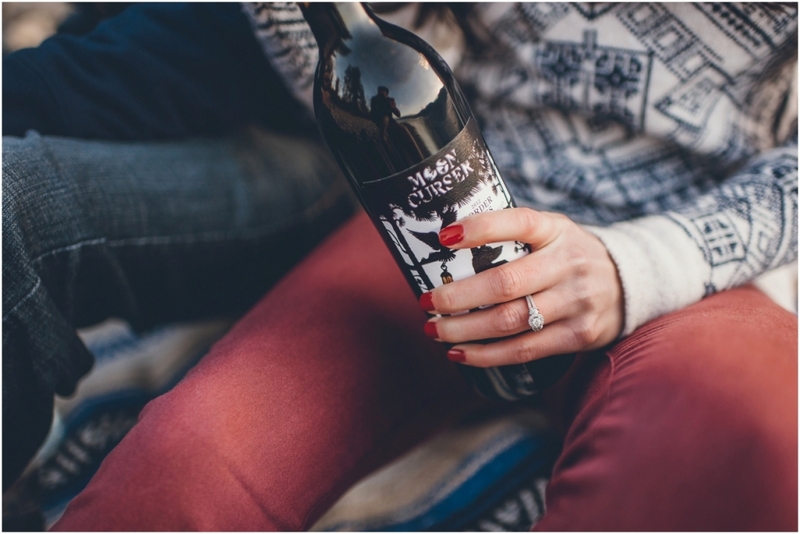 They poured a his & her’s drink as the sun went down over the gorgeous landscape filled with mountains behind them. 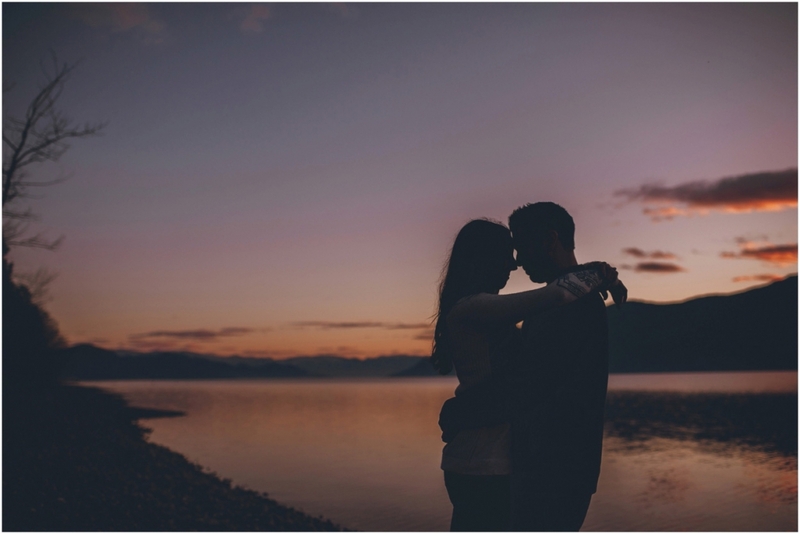 After drinks, they held each other close as the sunset sky fell all around them. 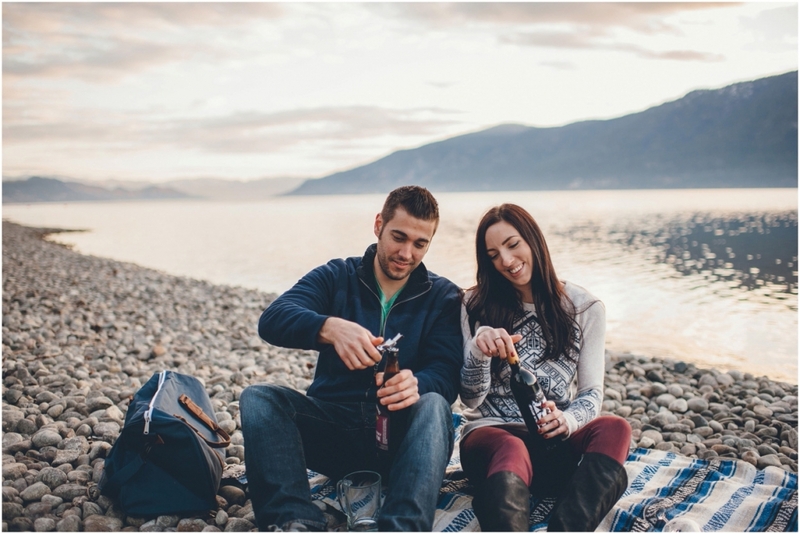 Ending off this absolutely perfect Okanagan evening beside the lake kissing underneath the sunset lit purple sky. 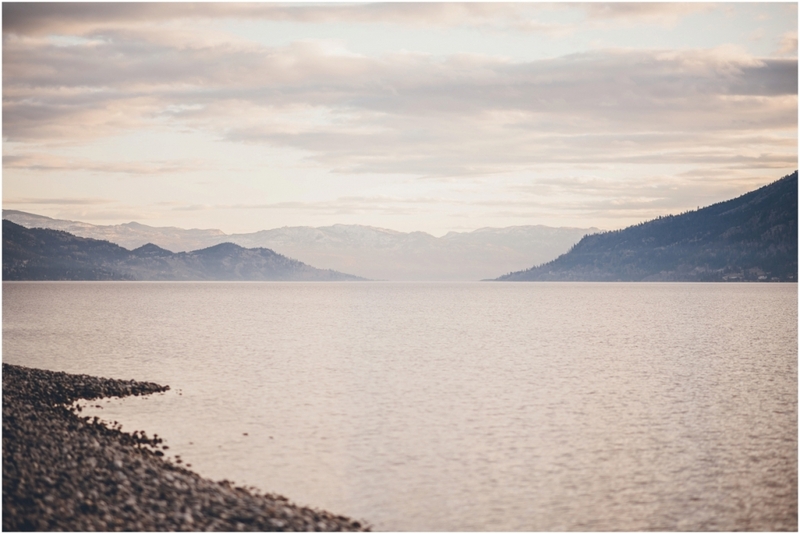 Without a doubt, an unforgetable view! 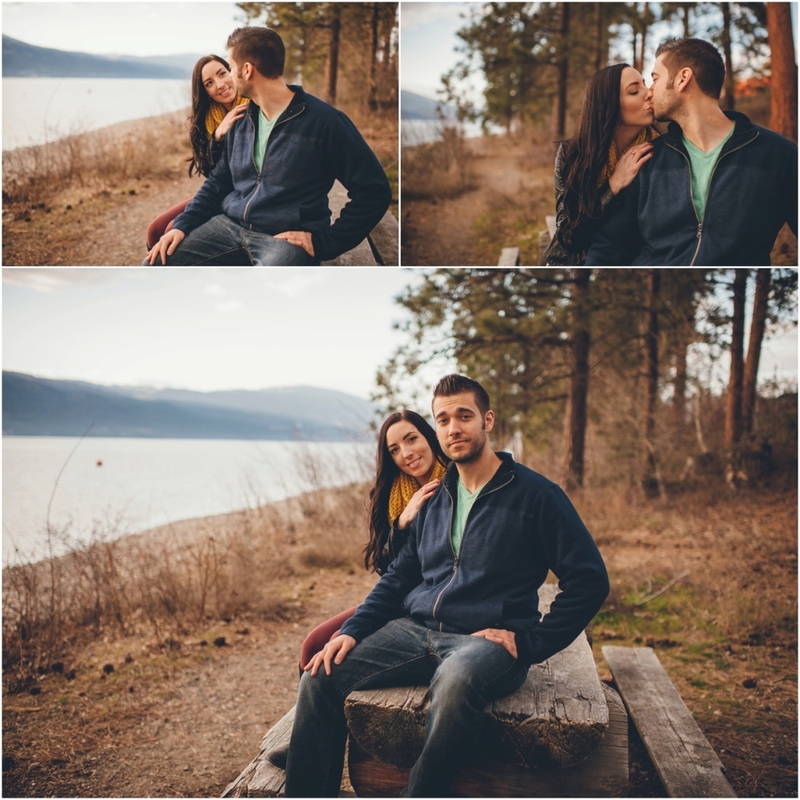 Being around these two automatically brought such a happy hearted feeling. 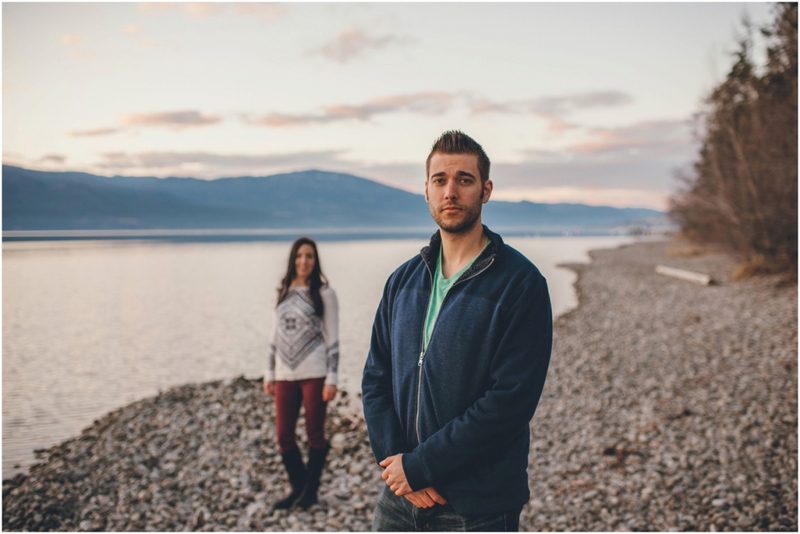 Not to mention having the chance to also meet some of their family who were opened armed. 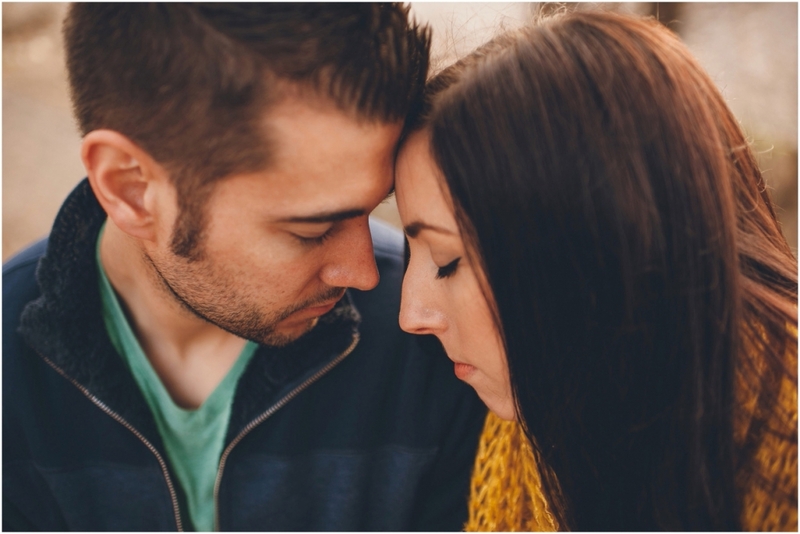 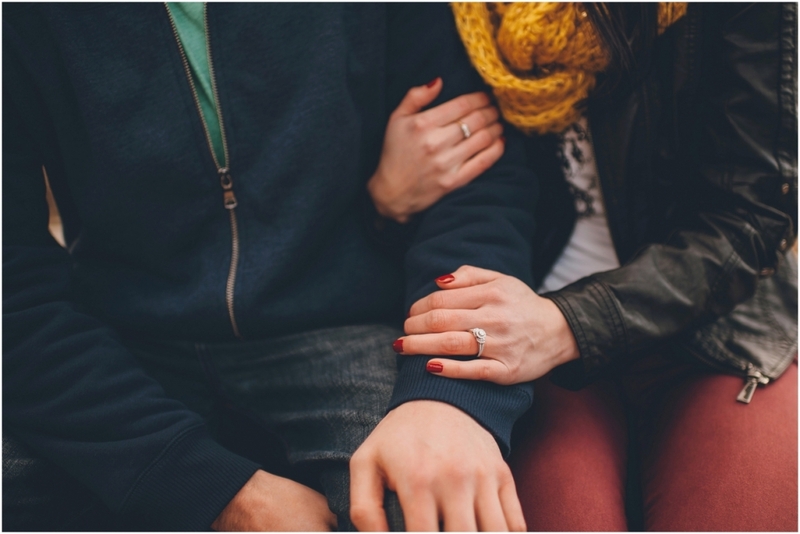 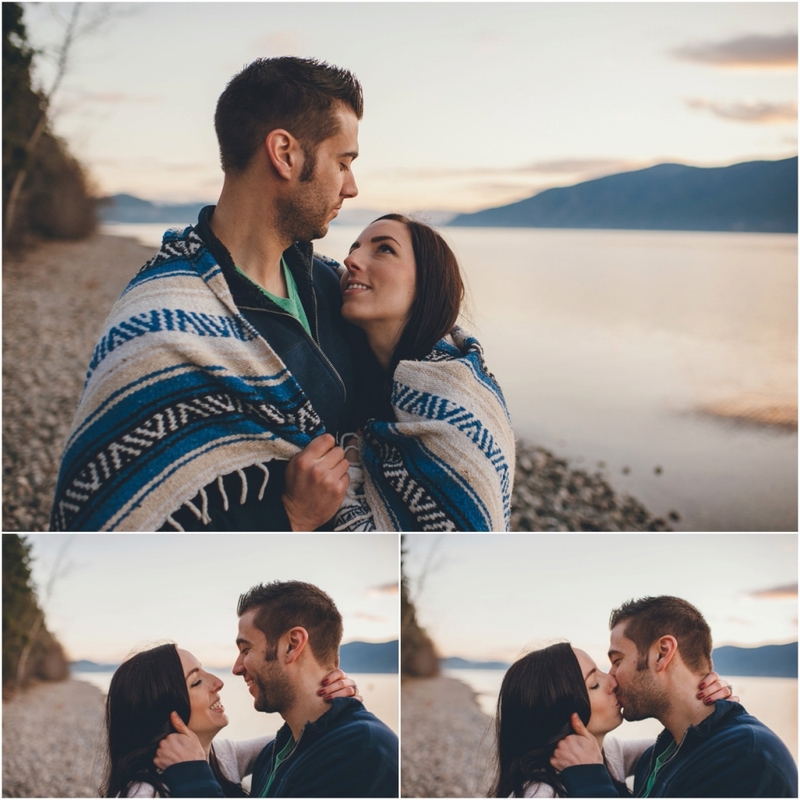 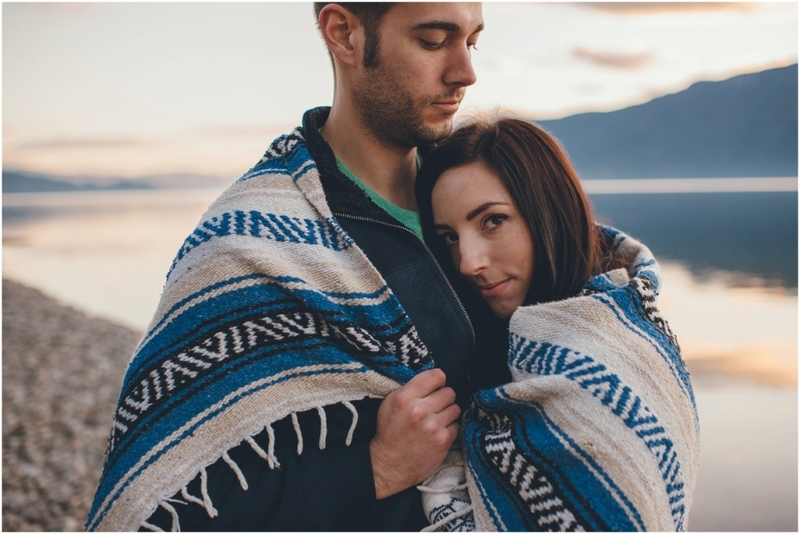 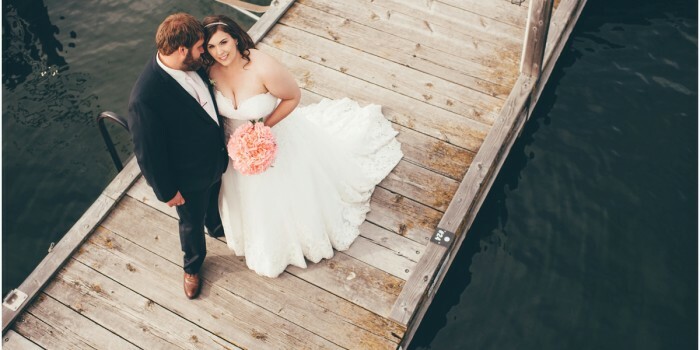 I can’t wait for their Kelowna wedding day and to photography it all! 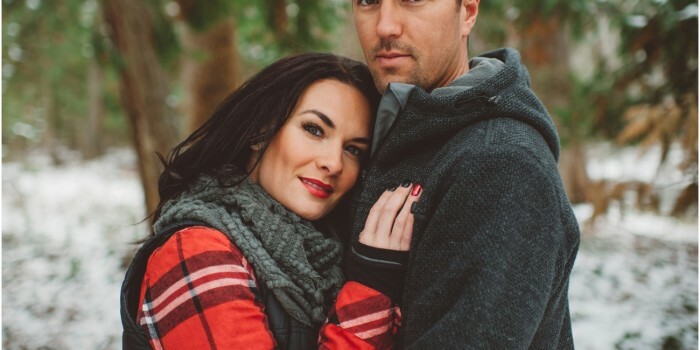 Check back in about 6 months for a lot more love from Tara & Greg!